Mari also understood the capitalist system in which he worked, for calendars such as the Timor were commercial products meant to be sold in the mass market. He said in a 1997 interview, “the best-designed objects are done by socialist thinkers in a capitalist system.” He intended to create products with dignity not only in terms of the production quality but also throughout the production process. David Ryan, “Enzo Mari and the Process of Design,” Design Issues 13, no. 3 (Autumn 1997): 35. 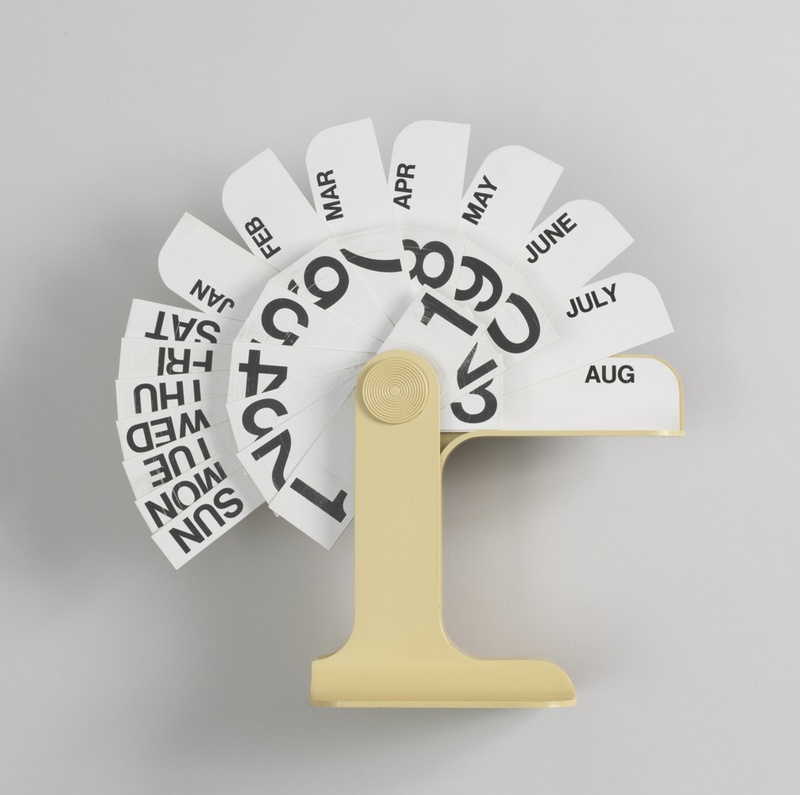 The Timor Perpetual Calendar is included in the exhibition Bob Greenberg Selects, on view in the Nancy and Edwin Marks Collection Gallery through September 9th, 2018.